Cape Cod offers endless opportunities for both adventure and relaxation. Whether you enjoy outdoor activities, shopping, or exploring the National Seashore, there is truly something for everyone. Day trips to Martha’s Vineyard or Nantucket are another guest favorite. Check out the list below to start planning your trip to The Old Harbor Inn today! This is an exceptional area for biking. The Cape Cod Rail Trail follows a former railroad right-of-way for 22 miles through the towns of Dennis, Harwich, Brewster, Chatham, Orleans, Eastham, and Wellfleet. Its paved surface and few hills make it ideal for cyclists. There are many opportunities to get off the trail and visit a beach. Food and water are readily available and public restrooms can be found at Nickerson State Park, Salt Pond Visitors Center at Cape Cod National Seashore, and the National Seashore Headquarters. If you do not have a bike, bike rentals are available at many points along the way. We highly recommend The Little Capistrano Bike Shop in Eastham. The shop is located at the heart of Cape Cod Biking between The Nauset National Seashore Trail and The Cape Cod Rail Trail. The Little Capistrano Bike Shop in Eastham operates out of a barn and gives you the feeling of Old Cape Cod with top quality service and bike brands. 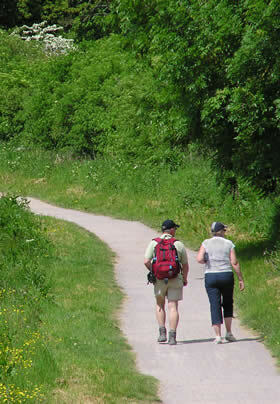 If you enjoy walking, you are definitely in the right place. There are 11 self-guided trails along the Cape Cod National Seashore, Monomoy Wildlife Refuge, and the Wellfleet Bay Sanctuary. Furthermore, our premier downtown location makes it easy to enjoy everything that Chatham has to offer within walking distance. If you are interested in hiking, there are short hikes within easy reach of the inn (Harding’s Beach Trail, Honeysuckle Lane, Frost Fish Creek Trail, Barclay Ponds Trail). 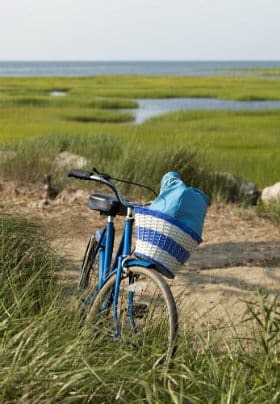 In addition to great trails, Cape Cod has amazing views in the form of seascapes, salt marshes, and sand dunes. Many beaches and their associated trails have entrance fees for daily visitors as well as summer passes in season. Be sure to ask us about them before you head there! Many boat rides depart from the waters surrounding Chatham. Take a fun Seal Tour, visit North Beach for a day away from the crowds, or take a Sunset Cruise. You can also hire your own boat. Chatham Beachcomber offers an amazing Seal Tour so you can get an up-close look at Chatham’s resident Gray and Harbor Seals! Learn about the seals’ history in Chatham, as well as about their habits and biology. Watch them play in the water or just laze on the beach. 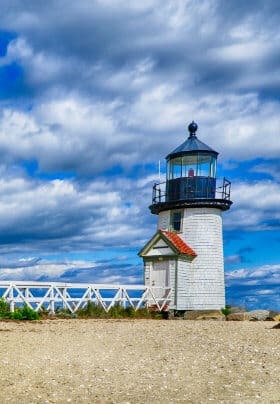 The hour-long Monomoy Island Ferry tour includes a walking tour led by a naturalist and gives you the opportunity to set foot on South Monomoy Island and walk out to the historic Monomoy Lighthouse. While on the island, you may have opportunities to view not only the largest population of seals on Cape Cod but also white-tail deer, owls, and birds. The refuge is a birder’s paradise and depending on the season, there are sometimes thousands of nesting and migrating birds stopping off here. Experience Cape Cod with a “birds’ eye view” of the magnificent beaches, the newest ocean breakthrough, and the large volume of local harbor seals. If you look closely you may even see a Great White Shark (no guarantees on the shark though). Other sights include the wreck of the SS James Longstreet target ship sunken in the bay, and the Provincetown Monument. Professional pilots will point out these and similar areas of interest, provide some Cape Cod history, and answer questions while you enjoy the lovely scenery. Stick’N Rudder Aero Tours is based at Chatham Airport CQX. Golf courses on Cape Cod are plentiful. 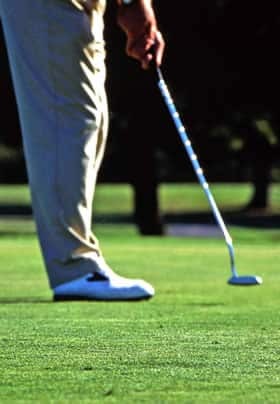 Our public golf course Chatham Seaside Links is conveniently located just a few minutes’ walk from the inn. This 9-hole course offers a great value: for only $20 you can play this little gem with ocean views. There are several tennis courts located in Chatham, which are open to the public free of charge. Chatham High School: Turn left out of the driveway, take first exit at the rotary and continue down to the traffic light. Make a right turn on Crowell Road. The High School is about ½ mile on the left. Depot Road Courts: Turn right out of the driveway and make first left on Depot Road and the courts will be on your right. Chatham offers an exceptional number of unique high-end shops to satisfy any taste. Whether you are seeking an unusual souvenir, a T-shirt, fine art for your home, or jewelry for that special someone, you’re sure to find it at one of our many shops. If Main Street does not satisfy your appetite to shop, Route 6A offers the largest concentration of antique shops while Wellfleet and Provincetown are home to numerous quirky galleries. The nearest mall is located in Hyannis and features several major department stores. To get a personalized itinerary before your stay, please contact our concierge at 800-942-4434 or 508-945-4434. This gorgeous island, with its preserved village of sea captains’ homes and bumpy cobblestone streets, is a day-tripper’s dream. The island is relatively small, a mere 14 miles long and 3.5 miles wide, but includes some 800 pre-Civil War-era homes, many of which have now been transformed into fine restaurants, inns, museums, and one-of-a-kind boutiques. There are more than 80 miles of beaches on the island and acres of preserved and protected lands. You can wander the village, pop into a shop or two, try a local restaurant, rent a bike, go to the beach, or take a tour of the island. Do not forget to visit the Whaling Museum and Nantucket Basket Museum. This island can easily be explored in one day – however, we suggest that you plan ahead so you can make the most of your time on the island. There are several ferries to reach the island. The schedule and fares varied by time of year. Cape Air also flies daily to and from the island. Once on the island, we recommend Gail’s Tours as a way of getting an overview of the island. Gail Nickerson grew up on the island and her hour-and-a-half tour is fun and informative. Martha’s Vineyard has five distinctive towns and is much larger than Nantucket. Located just seven miles off the coast of the Cape, Martha’s Vineyard is just a 35 minutes’ ferry ride from Woods Hole. This 110-square-mile triangle is a little bit funky, a little bit “colorful,’’ and a little bit “farmy,” which makes it a top destination to visit in the summer. 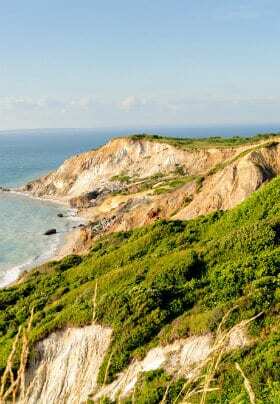 The western end, known as up-island, is more rural and wild than the eastern, down-island end, which includes the most visited Vineyard Haven, Oak Bluffs, and Edgartown. Once on the Vineyard, Island Transport operates a two-and-a-half-hour tour from Oak Bluffs and there is also bus service from Vineyard Haven and Edgartown. 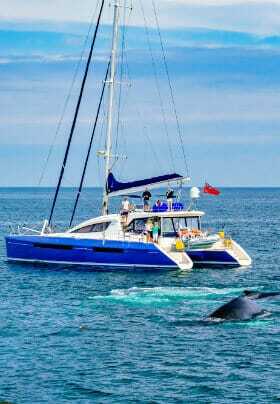 A visit to Cape Cod would not be complete without a trip to P-Town (Provincetown) and a Whale Watch. We highly recommend Dolphin Fleet Whale Watch, as they have partnered with the Provincetown Center for Costal Studies which provides naturalists for each trip. They are very informative and add to the enjoyment of the experience. 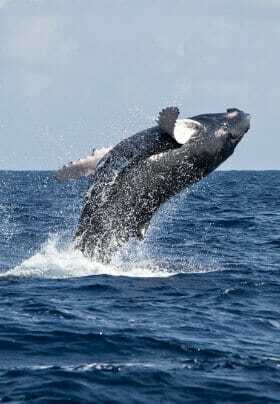 The Whale Watch runs between May and October and advanced reservations are recommended in the summer months. The trip lasts three to four hours.